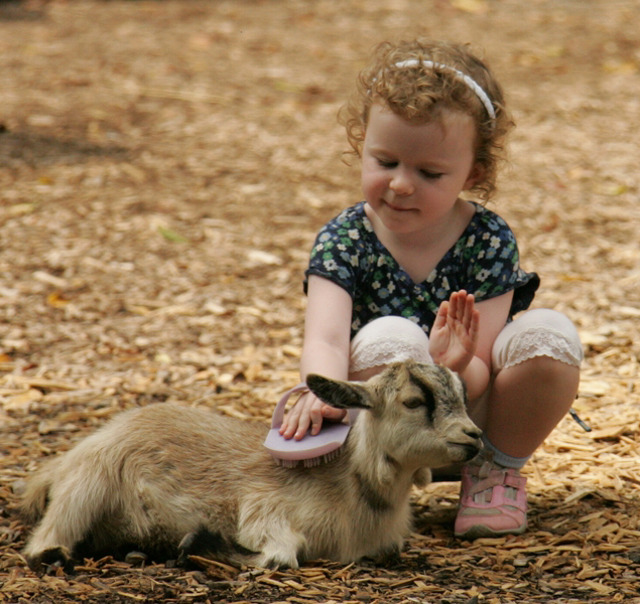 Critter Encounters, Lorikeet Landing, Shell Station and Kangaroo Kickabout are some of our most popular animal exhibits that allow personal encounters with some of your favorite animals. Where else besides Nashville Zoo can you brush a goat, feed a lorikeet and tortoise, and pet a kangaroo all on the same day?! 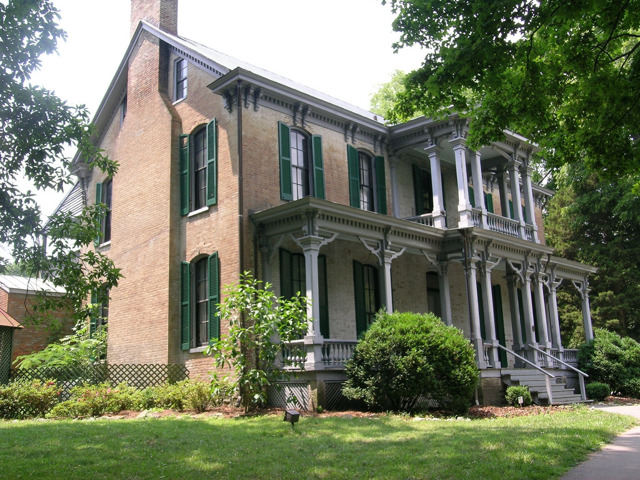 Nashville Zoo is proud to have the Grassmere Historic Home as a centerpiece of the park. The historic home and surrounding farm are filled with five generations of stories waiting to be told. As a bonus, a beautiful garden maintained by Davidson County Master Gardeners awaits your discovery. Our Wilderness Express Train and Wild Animal Carousel are guest favorites. The train ride, ideal for kids up to age 5, requires no tracks and chugs along a small circular path surrounded by trees and nature, and our beautiful carousel is a spinning delight for children of all ages. And just have a wild time at the Zoo! Nashville Zoo's Jungle Gym is somewhat of a Middle Tennessee legend with over 66,000 square feet for your little one to have an absolute blast running, swinging, and climbing just like the other wild animals in the Zoo! Ever wanted to take a selfie with (or just pet) a camel or goat? 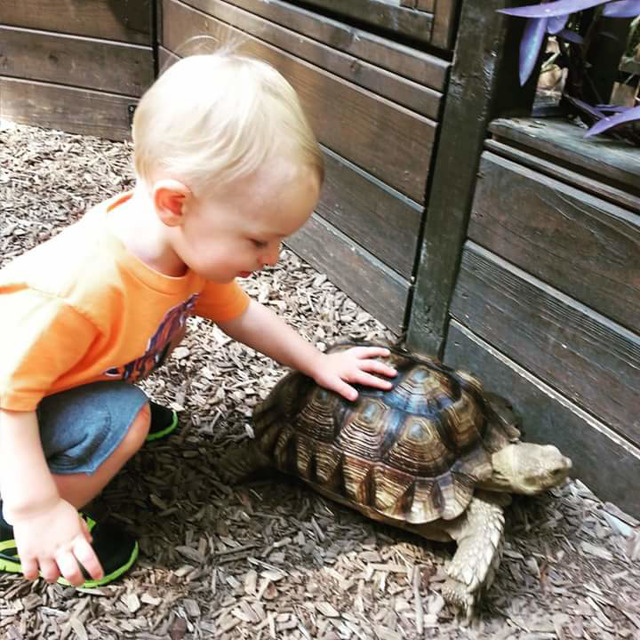 Located between Unseen New World and Flamingo Lagoon, Critter Encounters is the place to make that dream happen and get up close with some of Nashville Zoo's most personable animals. The exhibit is home to our Galapagos tortoises (sisters Bella and Darwin), goats, alpaca and a variety of birds. Listed on the National Register of Historic Homes, the Grassmere Historic Home, built in 1810, is the centerpiece of the Grassmere Historic Farm and is open seasonally for guided tours. Interpreters will take you on a walking tour through the home, telling you the history of the property, stories from the five generations who lived there, and how the Zoo came to be located on the land. During the tour, you will see many original pieces of furniture, a portion of the extensive book collection, and several family portraits. After touring the home, you can explore the rest of the farm grounds, including the three-tier heirloom garden and the family cemetery, which is the final resting place for several family members. For more information about touring the Grassmere Historic Home, see our Guided Tours page. To learn more about the history of the Grassmere Historic Home, refer to this page. Nashville Zoo's Jungle Gym is the wildest place for a high-flying, high-swinging adventure! Come swing like a gibbon, run like the zebras and prowl around tiger-style in the 66,000-square foot playground. 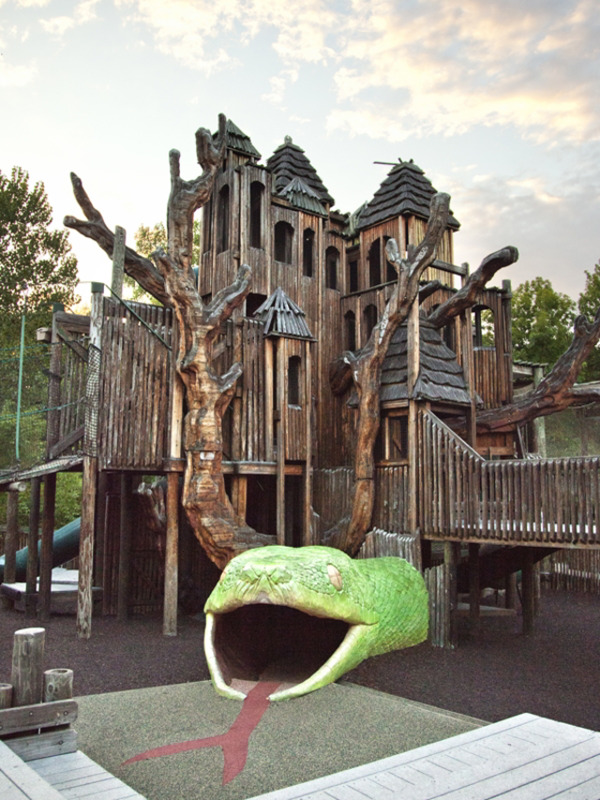 Jungle Gym features a 35-foot tall tree house structure, super slides, swings, and giant snake tunnel. The Jungle Gym is the largest community-built playground in the United States. 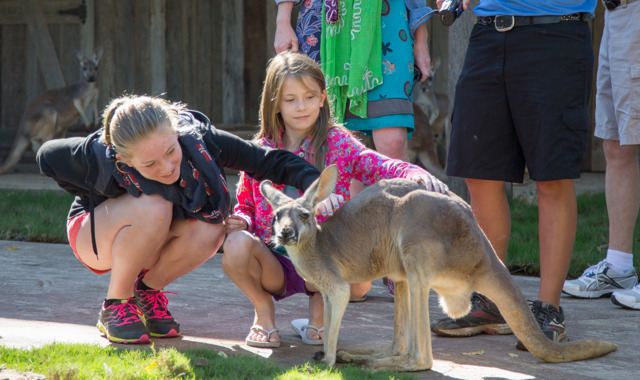 Kangaroo Kickabout gives guests the opportunity to enter the home of 18 red kangaroos and interact with them. Kangaroo Kickabout features 4,500 square feet of naturalistic Australian landscape. Guests can view the ‘roos from an outside area, or get a closer experience by walking a winding path through the middle of the habitat. While guests must stay on the pathway, kangaroos are free to wander the exhibit. Zoo keepers will be on-hand at all times to answer questions and monitor the animals and guests. 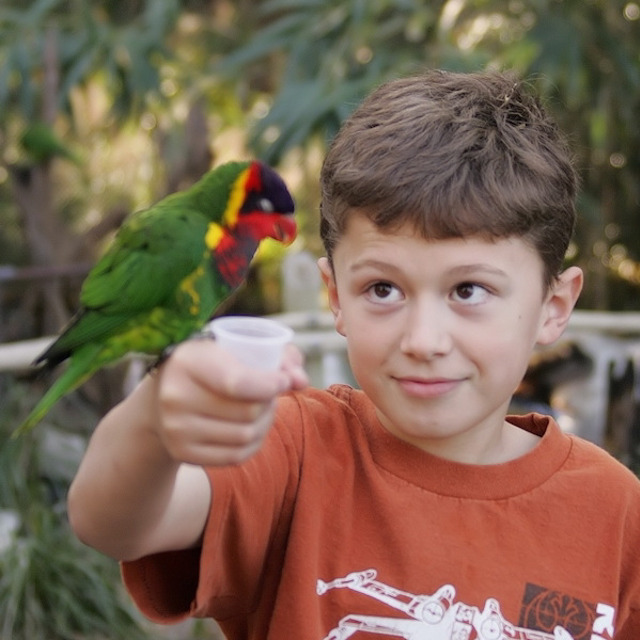 Enjoy a real nose-to-beak experience at Lorikeet Landing as you stroll through the beautiful aviary filled with more than 50 colorful Australian lorikeet parrots. Lorikeet Landing is a 2,400 square foot aviary which allows Nashville Zoo guests to walk into the habitat where lorikeets fly freely inside. Guests have an opportunity to feed these brightly colored parrots for a small fee. The habitat is located near the entrance of the Zoo's African Savanna. Exhibit entrance is free. Guests may feed the lorikeets for 1 attraction ticket (tickets are $2 each and can be purchased at the exhibit). Feedings end at 4:30pm during summer hours and 3:30pm during winter hours. The Shell Station features up to 10 Sulcata tortoises that range in age from three to five years old. Guests enter the exhibit and can walk around with the tortoises and touch their shell. Zoo keepers will be available at all times to answer questions and supervise the area. Sulcata tortoises are native to the Sahara desert in North Africa. They are the third largest tortoise in the world and can live to be over 70 years old. The Shell Station is open when the weather is good. Exhibit entrance is free. Guests may feed the tortoises for 1 attraction ticket (tickets are $2 each and can be purchased near the exhibit). Nashville Zoo’s newest experience takes riders on a tree-top trek to see giraffes, rhinos and more. 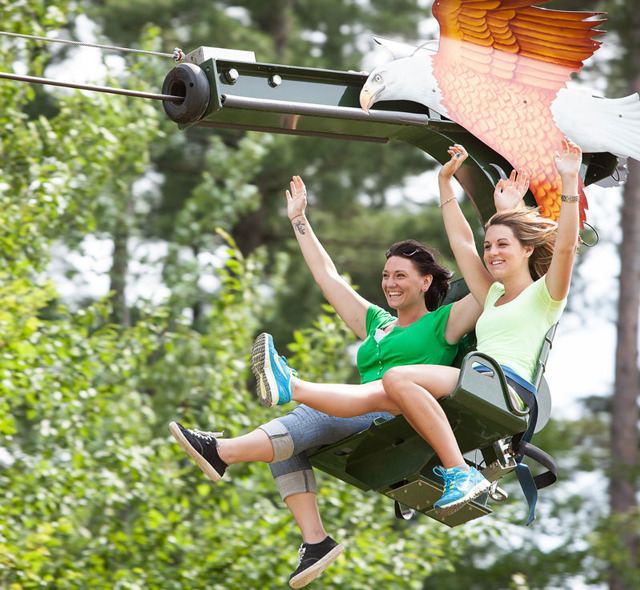 Soaring Eagle is the newest design of zip line rides and the only zip line you ride BOTH ways and with a friend! Soaring Eagle lifts guests 110 ft high and several hundred yards back before releasing the seat for an exhilarating 28 mph ride back to earth. Soaring Eagle costs 4 attraction tickets (tickets are $2 each and can be purchased near the Soaring Eagle ride). Restrictions: Riders must be at least 42" tall. Riders 42-47" must be accompanied by an adult. Combined weight must not exceed 450 lbs per 2 riders. Please note, the ride will not operate during rainy or windy conditions. Thanks to the generosity of our major sponsor, the Patton family, we are proud to invite you and your family to take a spin on one of your favorite animals. Since 2005, visitors have loved taking rides on the 39 brightly-colored, wooden animals. It is the first carousel in the country to offer the opportunity to ride a giant anteater or a clouded leopard cub. The carousel pavilion includes carvings by Zsolt Hormay, the master carver responsible for assembling the team and creating the Tree of Life at Disney's Animal Kingdom - his work is absolutely stunning! The lights, sounds and excitement truly add a special element to Nashville Zoo. 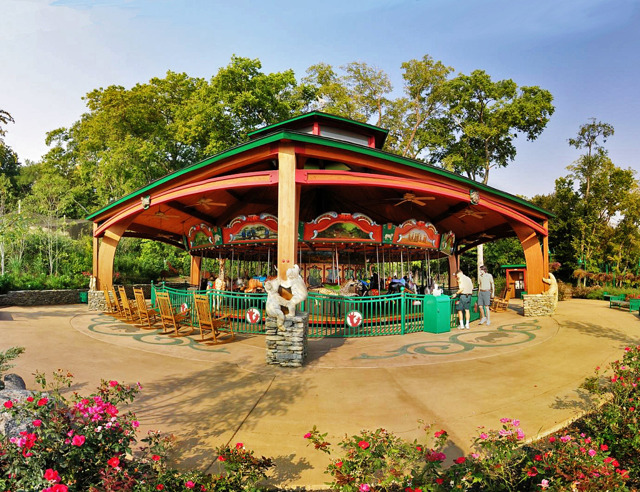 Located between our Festival Field and the Historic Grassmere Home, you can easily find the Wild Animal Carousel on the way to the African Savanna. Wild Animal Carousel rides cost 1 attraction ticket (tickets are $2 each and can be purchased near the carousel). Climb aboard the Wilderness Express train and wave goodbye as you take a short journey into wooded territory and undeveloped terrain. 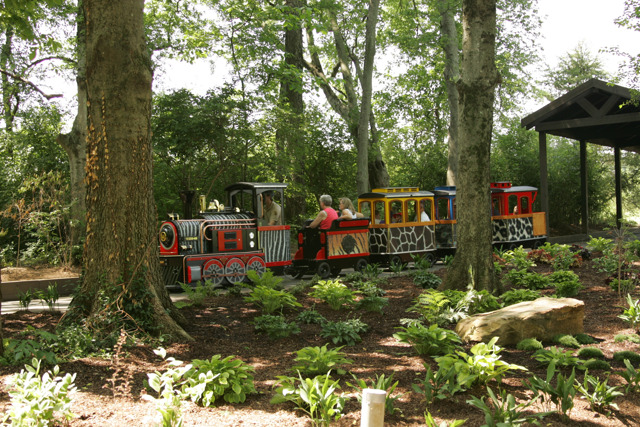 The train ride, ideal for kids up to age 5, requires no tracks and chugs along a small circular path surrounded by trees and nature. It’s the perfect ride for the young and young at heart. Which car will you ride in - red leopard, blue peacock, or maybe the yellow giraffe? The choice is yours. Wilderness Express rides cost 1 attraction ticket (tickets are $2 each and can be purchased near the ride).